General Liability ~ coverage for when your business is held liable by another party. General Liability provides Bodily Injury and Property Damage coverage, Personal and Advertising Injury protection, and Medical Payments to the public arising out of injuries or damages caused by an insured. Bodily Injury and Property Damage for Premises and Operations covers expenses that you may become legally obligated to pay because of an incident that happens at your business location. Let’s say a customer slips and falls on the wet floor or becomes ill from improper food preparation. That would be considered negligent acts occurring on your premises and your General Liability policy would provide coverage for you. Products and Completed Operations provides coverage for an incident that happen away from your business location. Let’s say a heating contractor installs a furnace incorrectly and causes an injury. Your General Liability Products and Operations policy would provide coverage for you. Personal Injury Liability focuses on when your business becomes legally obligated to pay for personal injury claims. Personal Injury means slander, libel, invasion of privacy and spoken defamatory statements to name a few. Medical Payments Coverage will voluntarily pay for the injured’s medical payments without regardless of fault. Let’s say your customer simply trips over their own feet causing them to fall. This coverage would apply in that instance. There are several endorsements that can be added to a General Liability policy in order to “personalize it” to your business’ exposures. Be sure to speak with your agent in detail so we can better understand how to insure you properly. Property Coverage ~ Coverage for your business property in the event of a tornado, fire, theft, vandalism and more. Building covers the building and structures described on the policy which can include permanently installed fixtures and equipment such as signs, intercoms, blinds and outdoor fixtures such as lights, awnings and flag poles. Business Property applies to property owned by you and used in your business including your inventory, stock, furniture, fixtures and leased property such as computers or copiers. Business Income is designed for businesses to restore expenses that continue and profits that would have been earned had there not been a direct loss. Business Income is explained as the net income plus continuing operating expenses including payroll. There is typically a co-insurance provision where the policy will pay a percentage of the actual loss. Extra Expense coverage provides payment for extra expenses above normal costs to continue operations after a loss. Inland Marine Coverage insures those items that can by transported and leave your business location such as tools and equipment. There are various forms of Inland Marine Coverage available. You can schedule specific items or write them on a blanket form. Be sure to speak with your agent in order to cover this type of property as it is not covered automatically under the Business Personal Property coverage. Commercial Auto ~ Provides financial protection for a business’ vehicles and its drivers. Your business owns, leases or rents vehicles; employees drive company-owned, leased or rented vehicles or employees drive their own vehicles while conducting your business. You need Commercial Auto coverage. Liability coverage provides coverage for bodily injury, property damage, and legal defense costs. Bodily Injury pays others when you are responsible for causing injuries which would include medical and rehabilitation expenses for their recovery. Property Damage pays other when you are responsible for damaging their property. Physical Damage Coverage agrees to pay for your covered auto in the event of a loss. Comprehensive provides coverage for repair of your vehicle in the event of fire, theft, vandalism, hail damage, wind causing tree limbs to fall on your vehicle or hitting a animal. Collision covers your vehicle in the event your vehicle is damaged after hitting an object. This object could be another vehicle, a sign or a building. The specific deductible will apply according to the type of loss. Workers Compensation ~ Provide wage replacement benefits and medical treatment for employees who have been injured on the job or become ill due to work-related injury or illness. In Iowa, all employers must carry workers’ compensation insurance on their employees. The premium is determined by payroll, the type of work involved, experience rating and number of employees. Sole proprietors, Partners, and LLC members are excluded from coverage but may elect to be included. Corporate officers are included in coverage, but may elect to be exempt. Up to four executive officers, other than a family farm corporation, can elect to be excluded. Minimum limits are required but higher limits are available upon request. Commercial Umbrella ~ Provides coverage for liability claims over and above the limits of the existing general liability or businessowners policy. Your assets, as well as your future earnings are protected. The Commercial Umbrella provides business liability coverage in two areas. 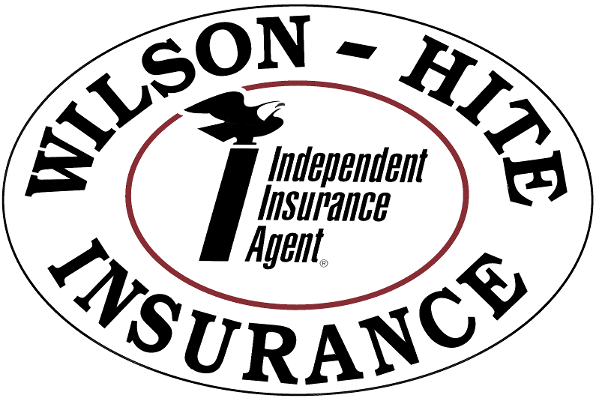 It provides excess insurance over other insurance and can provide additional coverage in certain situations where your general liability or businessowner policy may not cover. The policy limits begin at $1,000,000 and can be increased based upon your needs. Commercial Umbrella contain a self-insured retention which is basically a “deductible”. You would be responsible for this portion prior to the policy payout. Let’s say ~ A covered claim against you is awarded $1.4 million. You have $1,000,000 in general liability coverage, and a $2,000,000 umbrella limit. Your umbrella policy will kick in to cover the additional $400,000 to settle the claim. Inland Marine Coverage ~ Provides coverage for virtually any type of risk that may be transported. Most property is insured under the Building and Personal Property Forms, Inland Marine coverage is specific and generally written on a special form basis. A few of the standard Commercial Inland Marine Coverage Forms include Accounts Receivable, Equipment Dealers, Valuable Papers & Records, Contractor’s Equipment and Electrical Data Processing. Other forms are available. Provides coverage for restaurants, bars, beer distributors and other similar establishments that sell or serve alcoholic beverages. For example, if a restaurant serves a customer alcohol and that person causes an auto accident, the restaurant may be held legally liable. This policy would provide coverage if the establishment is deemed responsible.